THIS STORE DIDN'T SEND MY ORDER AND NEVER REPLY ME!!! I'm more and more into fashion day by day and I enjoy discovering new online stores. Foymall is one of them. 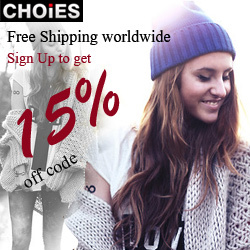 Based in China, they offer the latest street style dresses, coats, boots & more for good prices. They have unique items. And the best part is that they ship worldwide for free! You can also join their fashion blogger or affiliate program, if you wish. Right now they are offering a sale on the sunglasses; they are all under $25. There is also a black Friday deal going on, which provides 10% off on jackets and coats. And don't forget that all sweaters are just $19.50. PS: When you sign up, you will get a %15 discount coupon! You can click on the pictures to go to the product details.